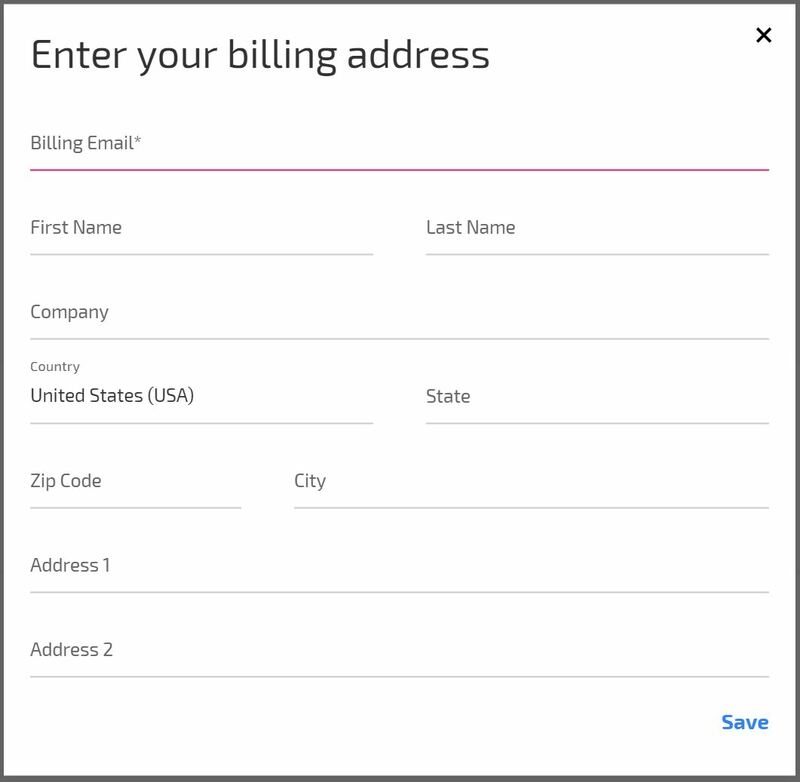 How do I add or change billing information? The process is slightly different depending on the Clipchamp product you've subscribed to. We'll unify this soon. For now, please see section 1) below for the Clipchamp Utilities, API and WordPress plugin products, and section 2) for the Create video editor. a) Click on your user icon in the top right an go to My Profile. On your profile page, click on Change Address. NOTE: you can also update your payment method in the section above this. 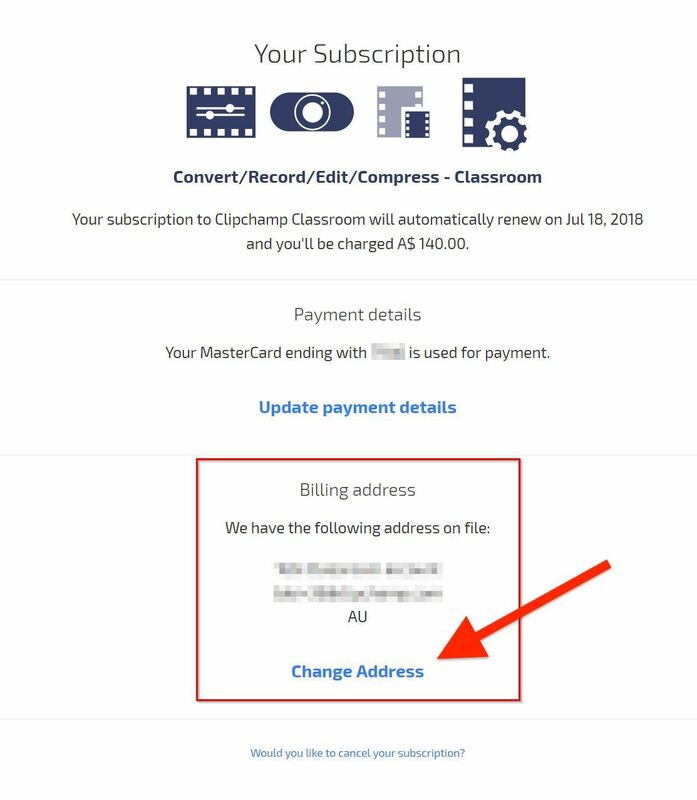 Please note that the email address that you use to log in to your Clipchamp account can be different from the billing address you enter here. It is possible to change the billing email address but it is not possible to change the login email address of your account. If you've subscribed to a paid plan for the Create video editor and would like to update your billing details, please get in touch with us through the contact widget in the bottom right of this page.